So for ages I’ve been getting newsletter emails from a company called Vivo Cosmetics. I don’t remember ever signing up to these, they just seemed to appear one day. The other week I noticed they had free shipping on all orders, so I decided after all this time getting their emails, I’d finally try them out. 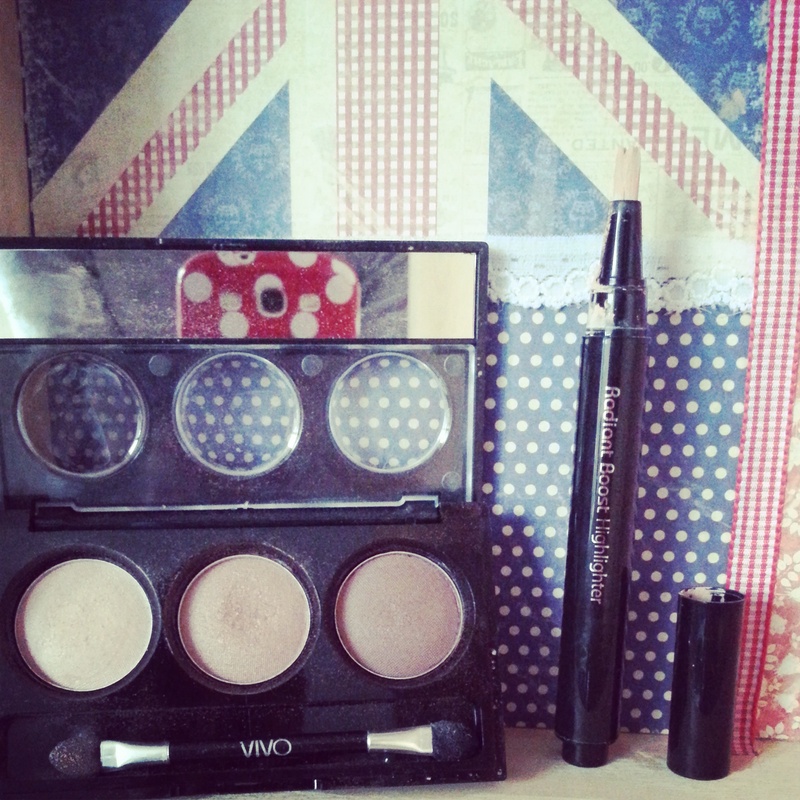 I didn’t want to buy a lot in case I wasn’t keen so I decided to go for the Radiance Boost Highlighter (£2.69), and the Trio Eye-shadow Palette in Innocence (£3.19). I don’t really like the highlighter, I find the formula far too pink, and far too thick, and I definitely wouldn’t use it to highlight my face. Instead I’ve been using it under my eyes, before I put my foundation on as the pink colour is pretty good for dark circles. I generally put on my foundation after applying this under my eyes, and then apply a lighter concealer and it works a lot better. However I do really like the eye-shadow palette. 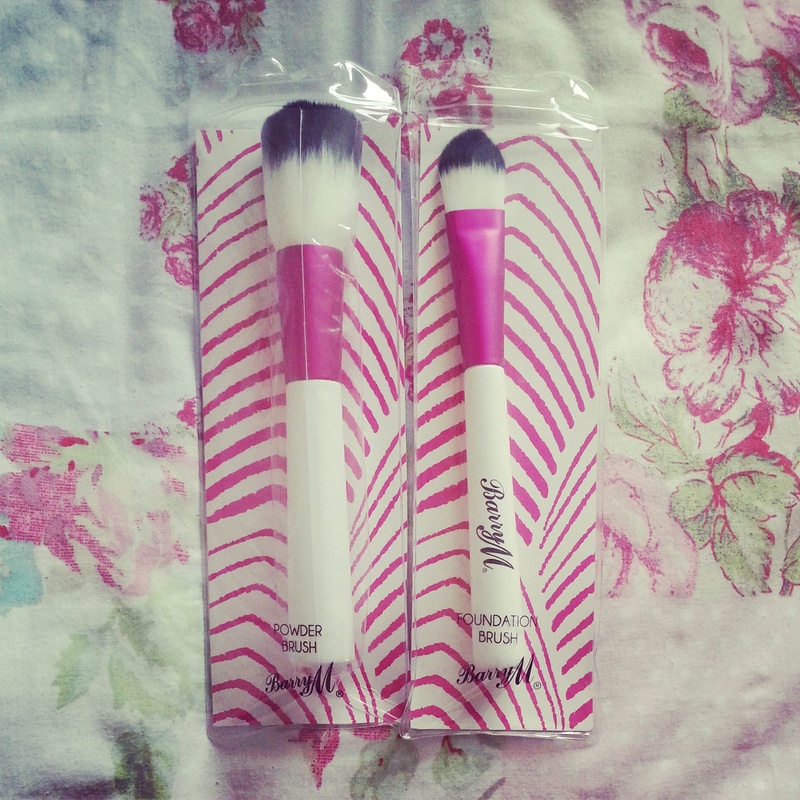 I really like the packaging (travel friendly!) and the colours are great for everyday. They take a little bit of building to get a strong pigment, but other then that I have no complaints about this. 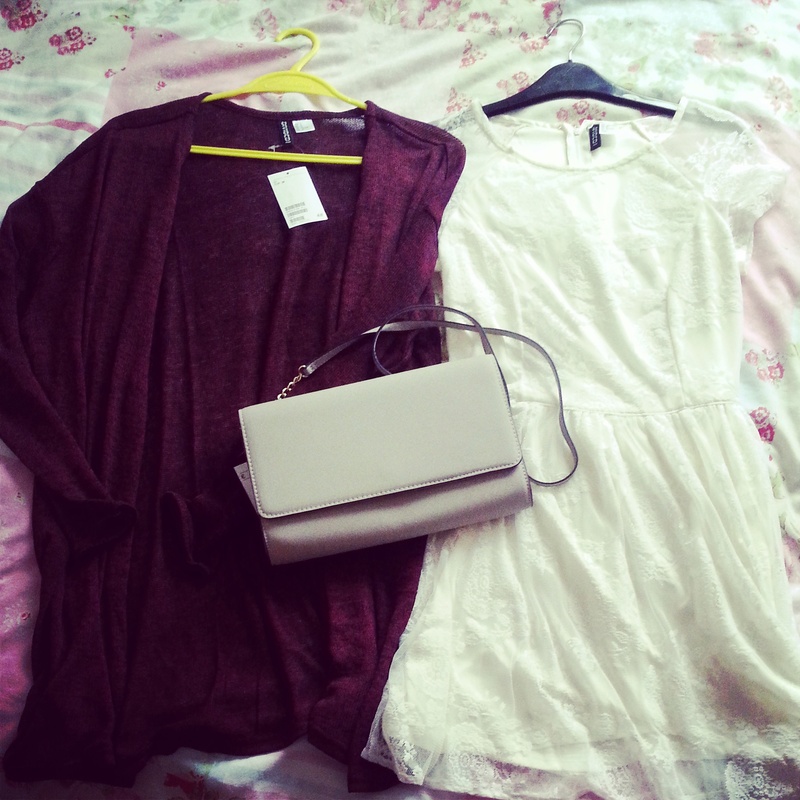 I think I’ll definitely purchase the other colours in this. 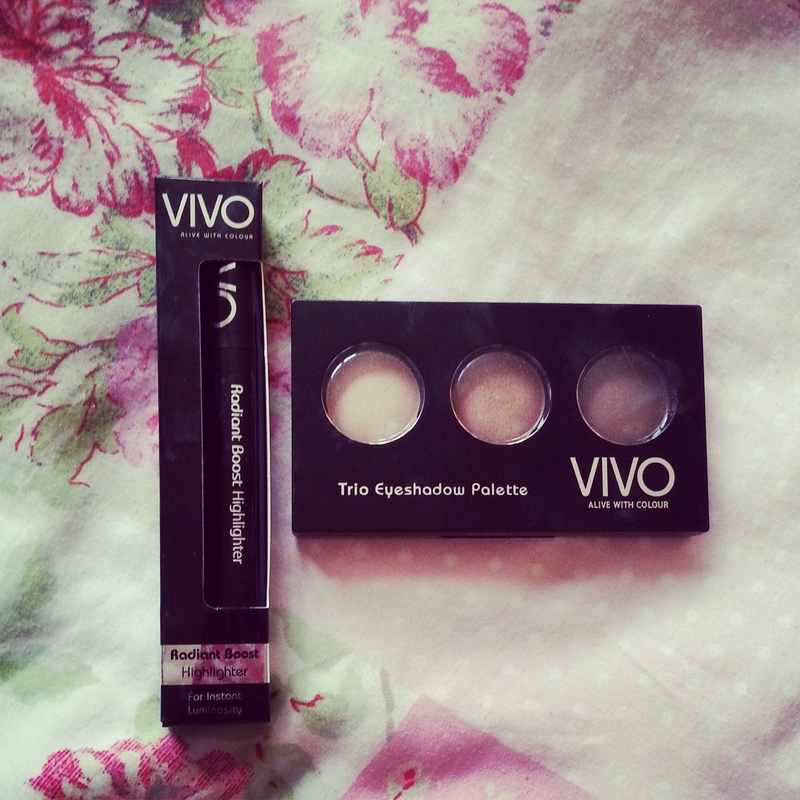 Have you ever tried Vivo? What did you think? “Gorgeous goddesses seem to surround script-reader and wannabe movie-maker Anna Brown – from her deranged glamour-queen boss to her perfect, pouting flat-mates – for Anna, being less-than-beautiful is very hard to bear. With a dead-end job and a ghastly boyfriend to boot, she wonders if she can ever be a success. In fashion- and beauty-crazed London, perhaps being talented just isn’t enough. Enter Mark Swan, Britain’s hottest director. Rugged, reclusive and powerful, everybody wants a piece of him – from studio heads to supermodels. He could be Anna’s ticket to the top, but how can she ever hope to snag such a big star? So I picked this book up in a charity shop (8 books for £1, best deal ever) which was a stroke of luck as I already have a couple of Louise Bagshawe’s books at home which I’ve really enjoyed. What I actually like most about this book is that the main character isn’t the gorgeous, perfectly proportioned, self assured woman which seems to feature in most of Louise’s other books. As far as the story goes this kept me interested and I finished the book in two days. It’s not really a serious book, so if you’re looking for something girly, light hearted and fun I’d really recommended this. 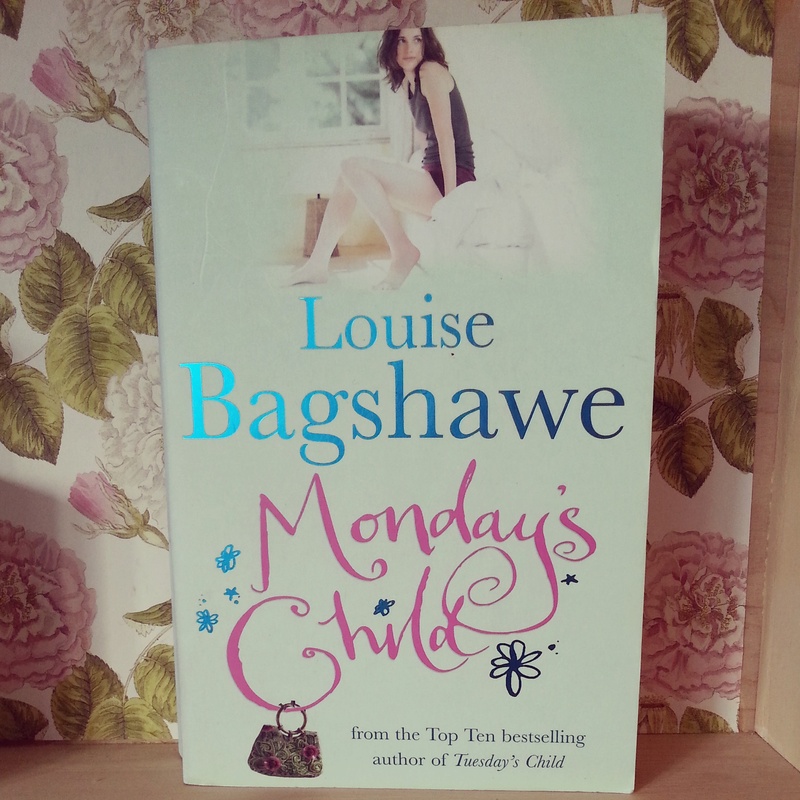 In fact I’d recommended anything of Louise Bagshawes, she’s a very talented writer and manages to pull off all different themes in her novels, for example this one is a bit of a chick flick, but another one of her books Destiny (big fan!) is more of a suspense/ thriller/ mystery with a bit of glamour thrown in. Have you guys read any good books lately? I’m re-purchasing the Olay make up remover and the Argan Oil mask because I love them so much (They’ll be in this months empties most likely if you guys want a review) and I got both of them for £3! The hand wash and the Treacle Moon shower gel (which both smell absolutely lush) I’ve never tried before but I’ve heard really good things about treacle moon so I’m excited to try it. The set of the lip balms (£2 for 3) also smell absolutely beautiful and I’ve already had a sneaky try of these. The last lip balm I bought from the factory shop was really greasy, but these are so much better. Perfect for my handbag! This is my favourite purchase of the day. 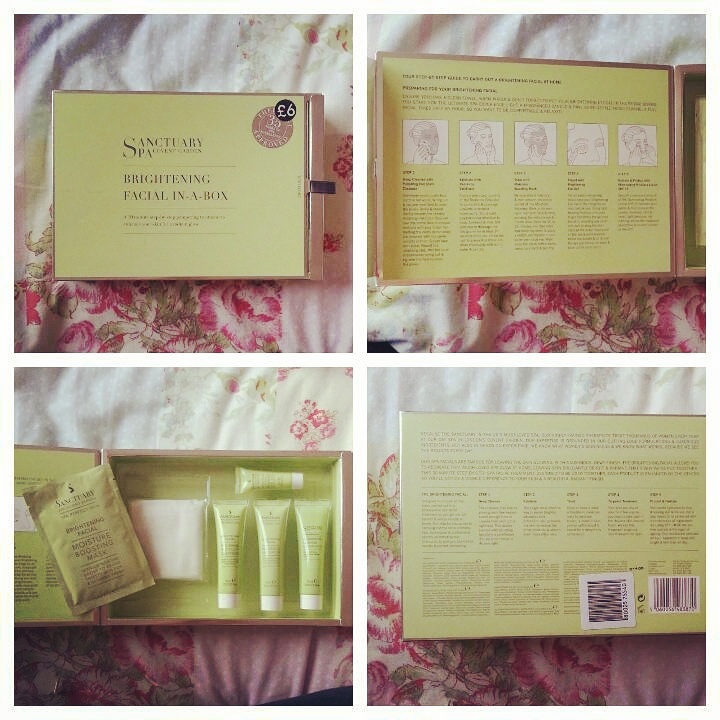 The Sanctuary Spa Covent Garden “Brightening Facial In A Box” This should have cost £16.50 but I got it for £6. The set claims to be a “30 minute step-by-step pampering treatment to enhance your skin for a radiant glow” The set contains a moisture boosting mask, a polishing hot cloth cleanser (with muslin cloth), eye gel, radiance defoliator and an illuminating moisturiser. These are all minis but I think if I could probably make them last a while. Also if I like these I’ll buy the full size items. I can’t believe the price difference between these the Factory Shop and boots! 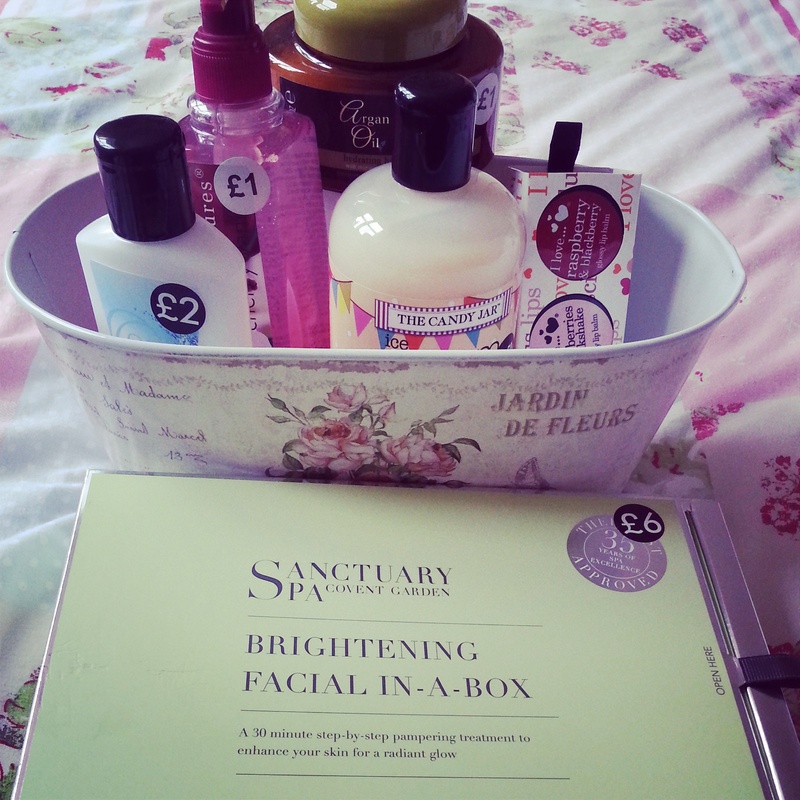 They also have a few other Sanctuary Spa bits in their which I’m so tempted to go back and get. You guys found any bargains lately? 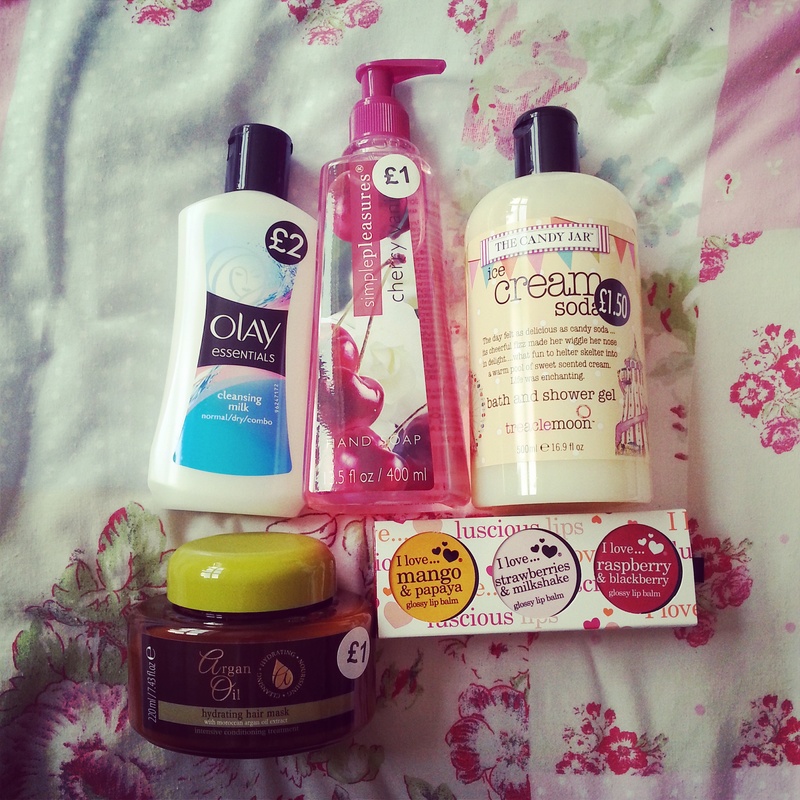 I know it has been forever since I blogged, life got in the way, but today I have my September empties post. And without sounding totally weird, I can’t wait to have this post done so I can finally throw all these away. Winter in Venice Ruby Grapefruit Lotion – I’ve had this for about a year and a half only using it every now and again because I wanted to make it last forever! The lotion itself isn’t anything special but the smell is amazing! I got this in a set as a gift and I’ve looked this brand up on the internet and they seem to only sell gift sets, so this is definitely one for the Christmas list! MUA Sweet Kiss Lipbalm – I think this cost me something like £1, I’d definitely buy this again. It’s a little sticky but quite nice to wear and you get a lot of product for £1. 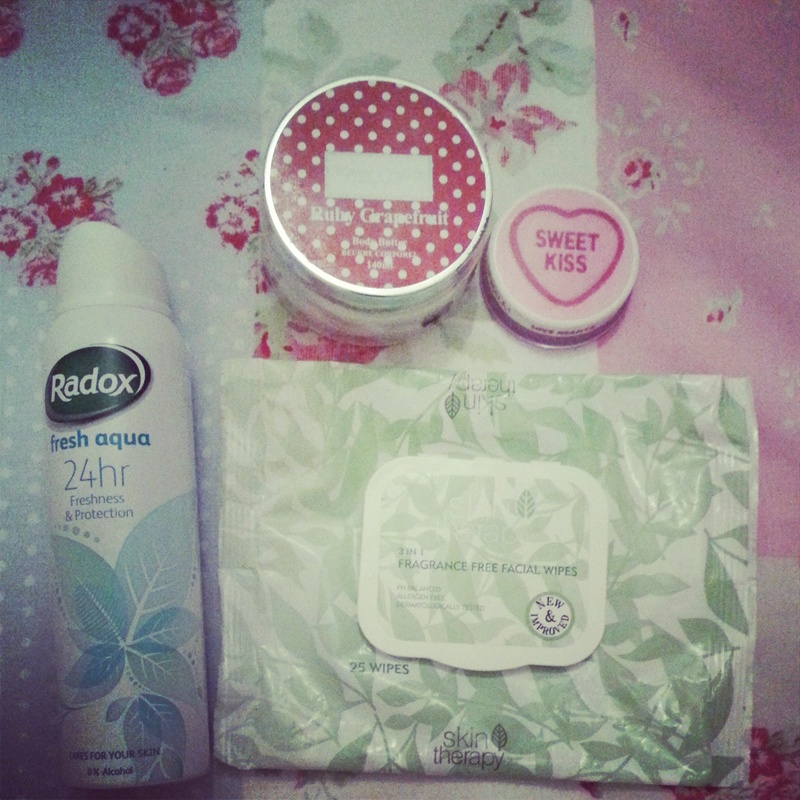 Skin Therapy Wipes- I picked these up because they were cheap at Wilkinson’s and will not be using them again! They made my skin feel really dry and irritated and didn’t do a fantastic job of getting my make up off. Umberto Giannini Shampoo and conditioner – I’ve had this since Christmas and have been doing my best to make it last. I love love love this stuff! It’s on the pricey side so I wouldn’t use it all the time but if you have damaged hair I’d really recommend this. 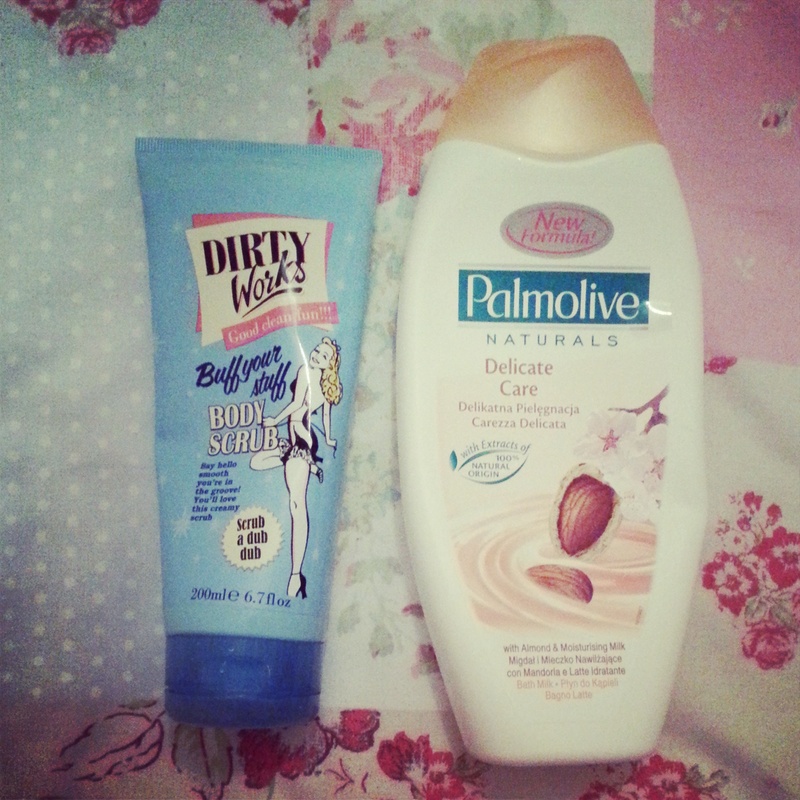 My favourite shampoo and conditioner ever. V05 Truly nourish shampoo- This was another thing I bought on offer with conditioner and finished way after the conditioner. It’s nothing really fantastic, but it does smell nice and I’d buy it again if it was on offer. Palmolive Naturals Shower Creme – I picked this up because it was really cheap for the huge bottle. It’s lasted me ages but I’m not really that keen on the smell, it was a little sickly for me and if i do buy this brand again, it definitely won’t be this scent. 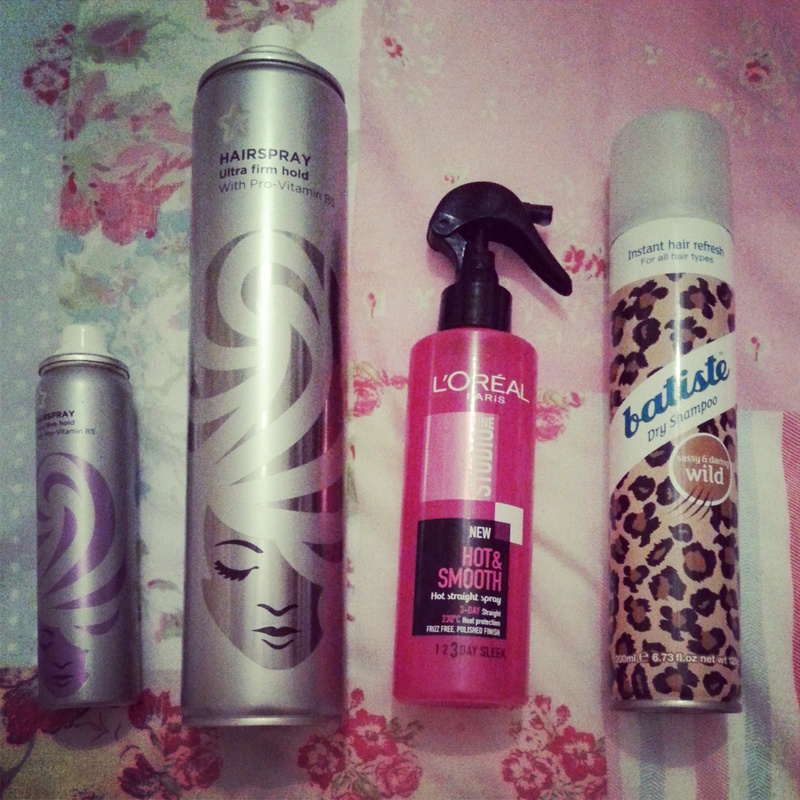 Superdrug Hair Sprays – I like the little one of these because it’s perfect for travelling, and for what the big one cost, you get a lot of product. 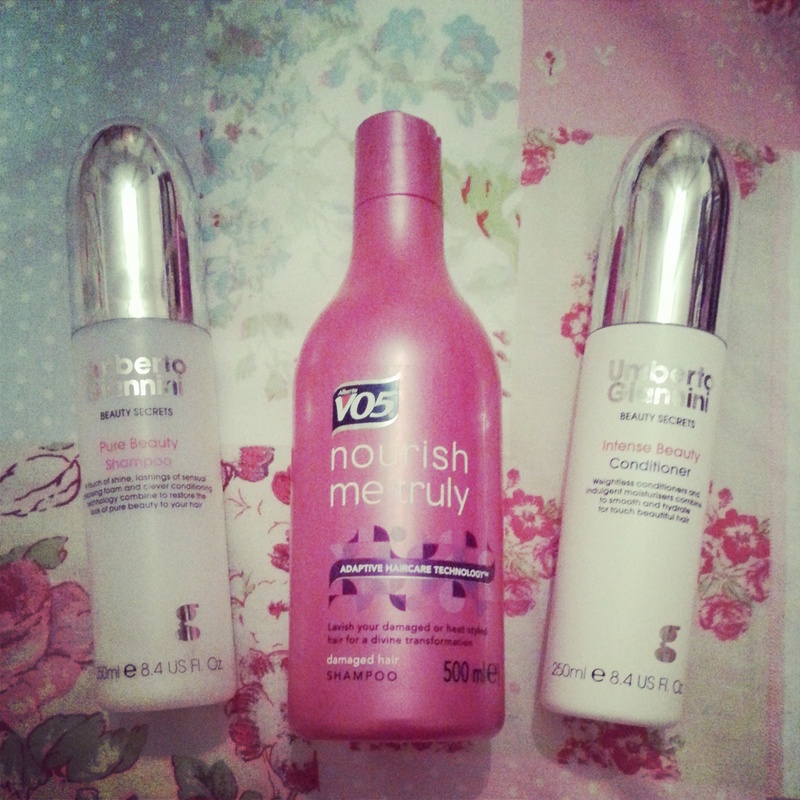 Because they are cheap they aren’t the best hair sprays but they’re ok if you don’t use a lot like me. I’ll be buying these again. L’Oreal Hot and Smooth Spray – This is ok, towards the end it wasn’t spraying very well, and to be honest it didn’t keep my hair sleek for three days which the bottle promises. Batiste Dry Shampoo – This is meant to give your hair volume and make it wild. What it actually does is tangle your hair and make it stick together in clumps. Will not be buying this again!